The human body operates like a punctual clock. It produces hormones which indicates to your body about the need of many of our behaviours such as the time we need to wake up, to eat or go to bed. One of these hormones is cortisol which is responsible for our vigilance by producing the essential glucose to our brain. The production of cortisol is at its peak between 08:00-09:00 am so our body can ensure the proper level of vigilance. It is not recommended to consume coffee in this time period, because we can easily become immune to caffeine. Therefore we need to harmonize our coffee consumption with our hormone production. Study the picture below that shows the cortisol levels peak and nadir. 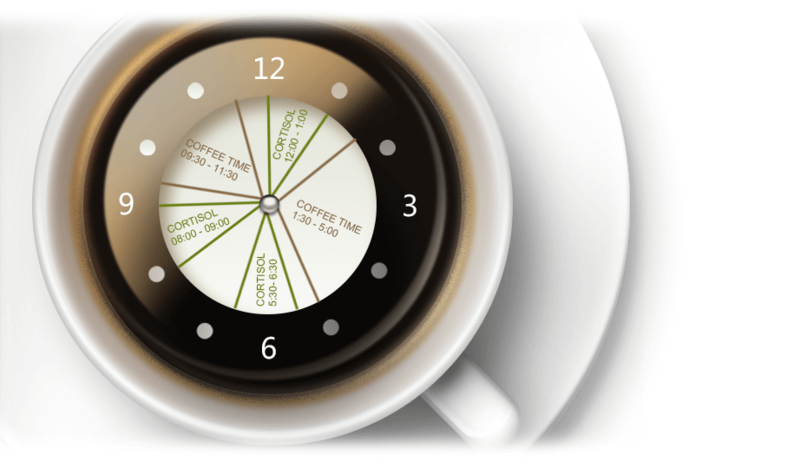 Enjoy your coffee and watch your clock!